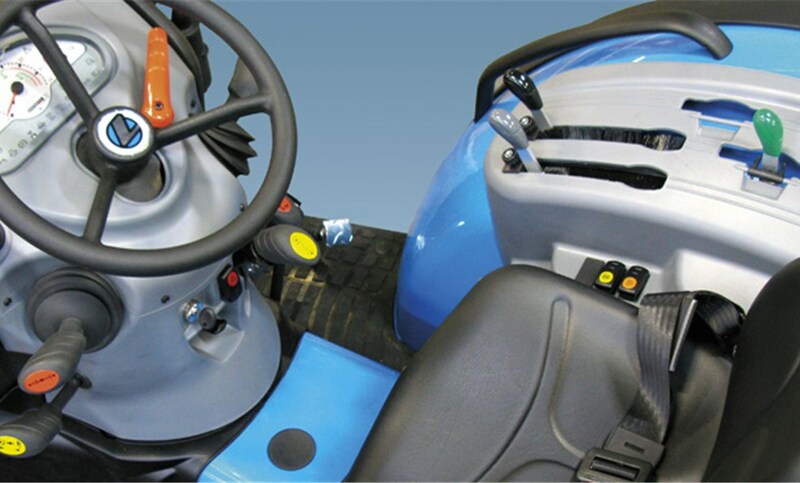 The Mistral Series compact tractors offer a restyled design and ergonomically improved controls. These tractors are a concentrate of technology that combines unequalled power, versatility and comfort. 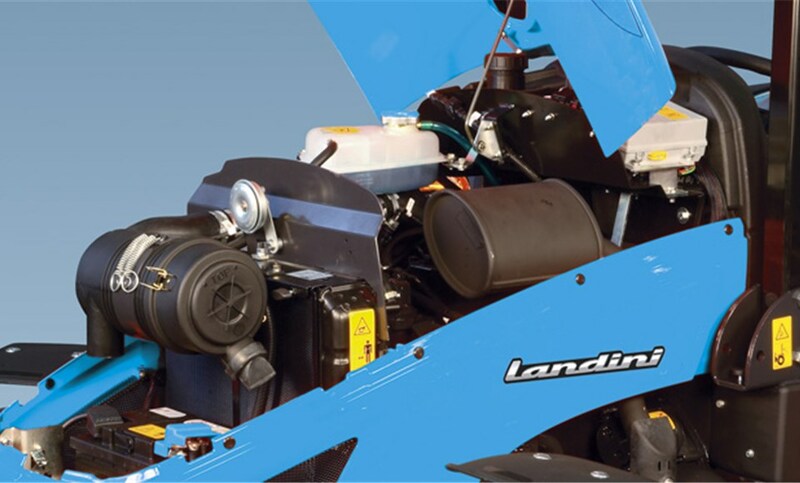 Agile and easy to handle, the Landini Mistral tractors are ideal for use in confined spaces such as vineyard and orchard rows and greenhouses, but are equally perfect for gardening works and maintenance of green areas and municipalities. 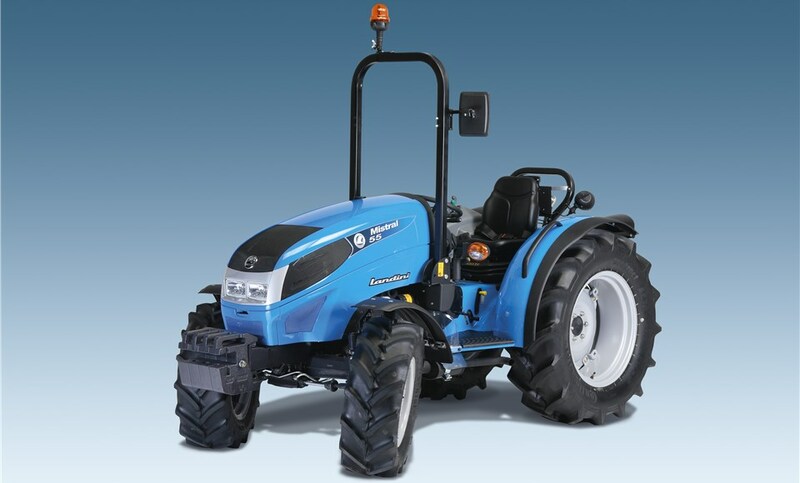 The plunging line of the hood, the wraparound design of the rear fender, the folding ROPS and a weight-to-power ratio of only 29 Kg/ HP make this tractor unique in its class.In addition, the new four-post cab fitted on the Mistral has a more modern design that brings enhanced visibility and manoeuvrability. The cab interior has also been improved with a better pressurisation system, a reduced noise level and a new, highly-efficient air conditioning to offer the operator a more comfortable working environment. The four Mistral models are equipped with Yanmar 3- and 4-cylinder engines, transmission with creeper and reverse power shuttle and mounting facilities for a front power lift and PTO. Though small in size, the Mistral is big, very big in performance. The Yanmar TNV 3- and 4-cylinder engines of new generation offer high performance, improved fuel efficiency, low noise, high torque backup and reduced emissions. In particular, the 4-cylinder turbo engine is equipped with 16 valves delivering exceptional performance. 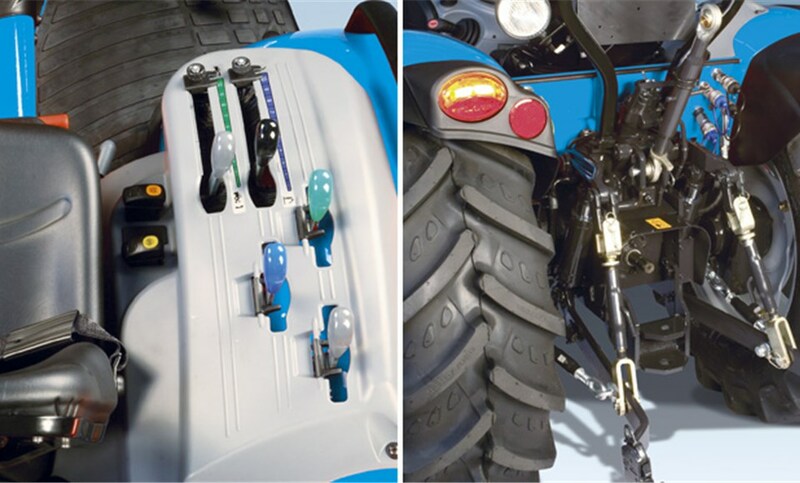 The hood side panels can be removed providing easy access to the engine for routine service and maintenance. 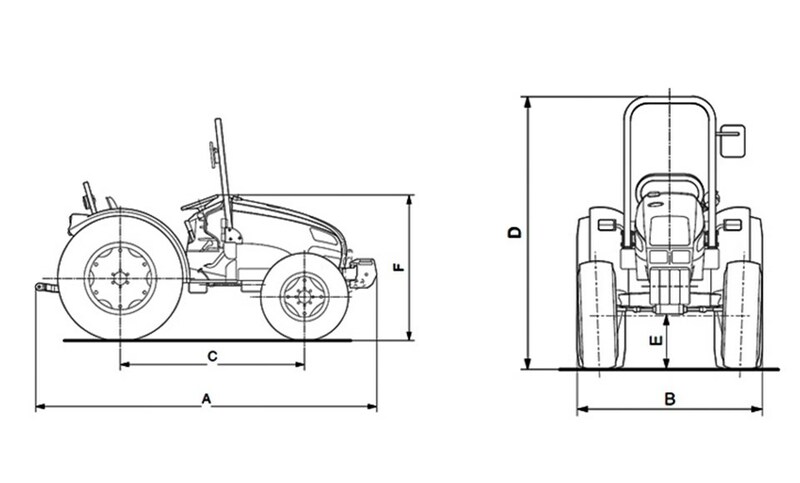 The basic transmission (12 FWD+12 REV) is integrated with a creeper offering a choice of up to 32 gears. The fully synchronised reverse power shuttle enables all gears of the basic transmission to be reversed offering a total of 16FWD+16REV . The driving seat, mounted on a suspended platform, features rationally and ergonomically arranged controls. The cab (optional) features full glazing for all-round visibility and an excellent air-conditioning system offering the driver a comfortable working environment. The hydraulic system provides a maximum flow rate of 12,5 GPM (47,7 litres/min). The mechanical power lift with Cat. 1 three-point linkage can lift up to 2640 lb. (1200 kg), The system features three simple- and double-acting auxiliary valves. 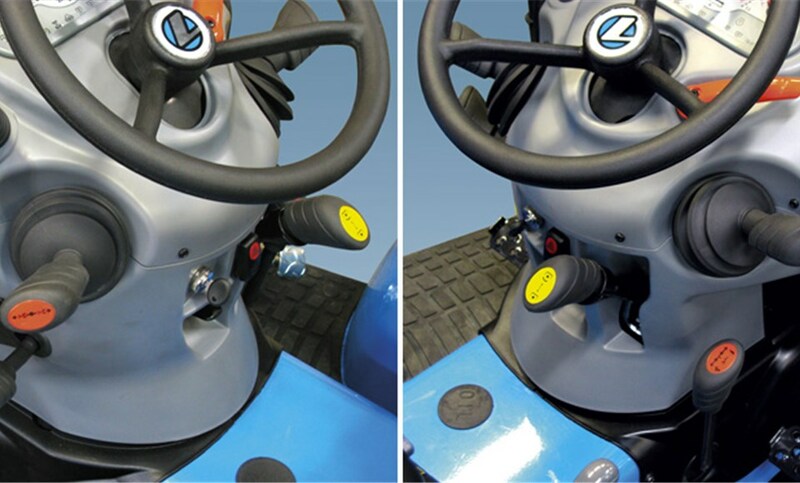 The controls are located in a comfortable and ergonomic position at the driver’s right for fingertip operation.